Pressure washers are popular pieces of outdoor equipment that are used to clean anything from the siding of a house to concrete driveways. There are pressure washer models that are better than others but knowing how to figure out which those are can be challenging when there are a lot of choices available. This pressure washer review will be a great help to you in figuring that out. This pressure washer review will save you that time, energy and even money because we’ll tell you what you need to know to make the right purchase for your needs. You won’t spend extra money on a pressure washer with a lot of upgrades if you don’t need one. Making the best choice on a large purchase can go a lot smoother when you know what you’re looking for. Many people do comparison shopping and this can lead to lots of time you may not have spent on the internet searching many different sites. 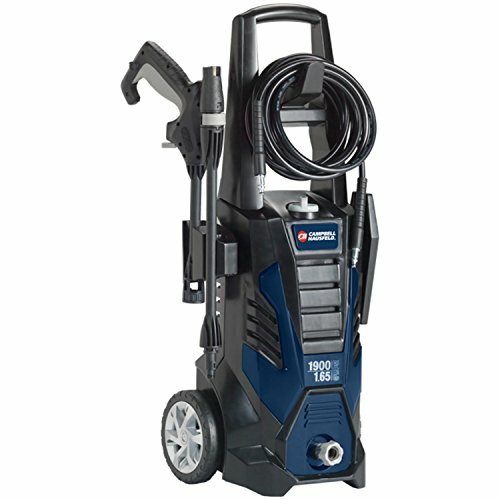 We’ve taken three of the top selling pressure washers on the internet today, including the best seller on Amazon and we’ve done a detailed review letting you know why they are so popular, what features and capabilities they have and what customers are saying about them who have purchased and used them. No more guesswork when it comes to buying a good model. The goal of this pressure washer review is to give you the information you need to make a good decision and not have to worry about whether you’ve made a mistake. The information is all in one place, so there’s no need to go from site to site, you can get everything you need to know right here. 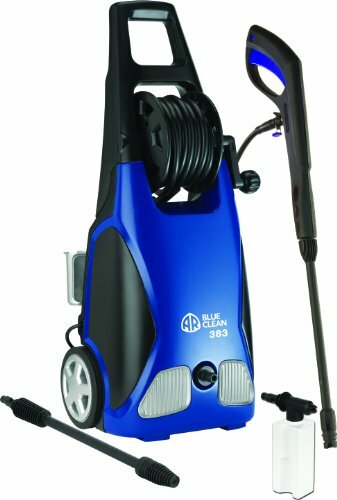 If you’re looking for a great quality pressure washer, you don’t have to look farther than the AR383 Electric Pressure Washer with Hose Reel. This is a cold water pressure washer that is made from copper, aluminum and plastic. It has several handy accessories including gun, adjustable jet nozzle, high pressure hose and lance with a foam dispenser. The two wheeled trolley mounted until has a handle and hose reel that makes storage easy and convenient. Another popular feature is the Total Stop System for automatic start stop functionality and includes the automatic safety value with a pressure shut off at the pump head. Maximum pressure is 1,900 PSI and the Universal electric motor provides 120v, 60 HZ and 11 amps of pressure washing power. The warranty on this model is excellent and provides 1 year to the original purchaser against any defects in the material or workmanship. In addition the warranty gives complete end to end coverage that includes the spray gun, high pressure hose and all the other accessories. If the consumer doesn’t adhere to the maintenance requirements in the instruction manual, the warranty will become void. The Sun Joe Pressure Washer provides three important elements: Power, Performance, and Versatility. Whether you need to clean RVs, vehicles, houses, trucks, boats, patios, porches or any other outdoor item or area, the Sun Joe is the unit that’ll get the job done. Provides 2030 PSI of pressure and has a powerful 1800 watt 14.5 amp motor. This unit has been proven to remove tar and grease from concrete driveways and slabs, heavy mildew stains, rush from steel items and much more. This pressure washer has a dual detergent tank system where it can hold two different types of detergent in the removable, onboard detergent tanks. You can easily switch from one detergent to another using the detergent selection dial and take care of virtually any form of dirt and grime. The extension spray wand is a convenient 34” long and thanks to the wheels, moving it from place to place is simple. The Sun Joe offers 5 quick spray nozzles that tailor the water pressure to the job at hand. It also has a 35 foot power cord, garden hose adaptor, and automatic shut off when the trigger is not pressed down. You get a two year warranty with this excellent pressure washer. Campbell Hausfeld is an excellent brand for pressure washers and the PW1825 is no exception. With 1800 PSI, 120 v of power and 14 amp motor, you can effectively and efficiently clean siding, cars, boats, driveways, patios and patio furniture and much more. This unit is very lightweight and is quiet, doesn’t emit a bad or strong odor and has zero emissions. When the trigger isn’t pressed down, the start/stop feature will automatically shuts off the pump. There is a swivel adaptor on the hose that allows you to connect to your garden hose easily. The onboard detergent tank holds up to 1 liter and any kind of pressure washer solution. You’ll have a 20 foot high pressure hose along with a spray gun, adjustable fan lance, turbo lance and 35 foot GFCI equipped power cord. Onboard storage handles all the accessories and makes putting it away convenient and space saving as well. Pressure washers are a great way to get outdoor items around you home and yard in extra clean condition. Whether it’s house siding, boats, vehicles, driveways, furniture (outdoor) or other things, you will love what a pressure washer will do for you. The three featured in this review are all excellent models that get the job done and any one of the, will provide you with the power you need and want for all your household jobs. One very popular and effective way of cleaning things around your home and yard is to use a pressure washer to get it clean. They can be used on home siding, boats, cars, patio furniture, patios, porches, driveways and even garden equipment. If the pressure washer is strong enough, it can even be used to remove old paint before your home is repainted. Pressure washers are much better alternatives if you want to be environmentally friendly since no chemicals or bleaches are needed. There are many different strengths and types of pressure washers on the market today and sorting through them to find the one that will be the best for your particular needs can be a bit daunting. This pressure washer buyer’s guide will give you all the information you need to know about these handy pieces of equipment so you can sort through the choices much easier and eliminate the ones that simply won’t work for what you need. This saves you time and money and makes you feel much more confident about your purchase. There are two types of pressure washers available: electric and gas powered. Both of these engines work a pump that increases the pressure of water that you get by attaching it to a regular garden hose. When you use a pressure washer, the garden hose will be attached to the pressure washer which then goes through another hose and comes out of the wand that the user holds. The water comes out highly pressurized and can be very dangerous if pointed at a person or animal. Many pressure washers come with different nozzle attachments that can do anything from cleaning a driveway to taking the paint off a house. Electric – This type of pressure washer needs an outlet and extension to work. It’s perfect for smaller jobs around the house where a ton of pressure or power is not needed. 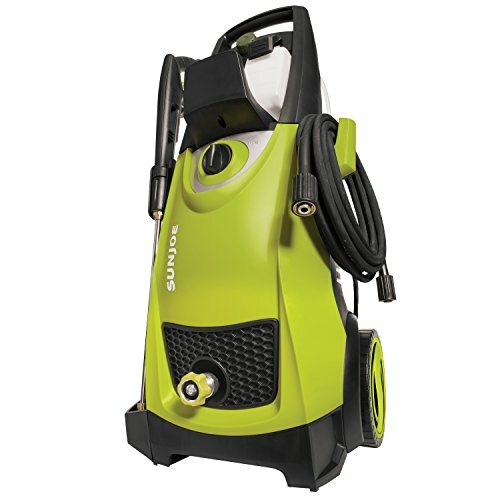 Gas powered – This type of pressure washer is popular because of the portability, efficiency and reliability. They are good for the larger jobs that require stronger power. Commercial – The professional commercial grade pressure washers are for heavy duty jobs and are great for landscaping jobs and construction sites where a lot of power and water pressure is required. This is the most expensive type of pressure washer. Most pressure washers come with a few standard parts that are always included. We’ve outlined these parts below so you will know what typically comes with a pressure washer. Hose – Hoses for pressure washers are available in a variety of sizes and can be purchased separately if you need additional sizes than what it comes with. They are attached to the pressure washer with screw set ends. In the lighter pressure washers, a garden hose might be used to attach the washer to. Nozzle – This is the end that is attached to the pressure washer’s hose and also is affixed with screws. Different nozzles allow for different water spray speeds and amounts. You can also get a brush attachment that can attach right onto the nozzle itself. Gun or Lance – This is the part of the pressure washer that attaches the nozzle to the hose. A trigger is used to release the water. The lance is capable of increasing or decreasing the pressure washer’s output. These are two terms used for the pressure of the water that is created by the pressure washer and volume of that water that is delivered. These two factors determine what jobs that particular pressure washer is suited for. Not all pressure washers are alike and certain tasks will require certain PSI and GPM to get the job done efficiently and properly. PSI – PSI stands for pounds per square inch and determines how powerful the water is going to be when it comes out of the wand. GPM – GPM stands for Gallons per Minute and determines how fast the pressure washer will work clean away the dirt and debris. Below PSI and GPM ranges are given for electric, gas and commercial pressure washers along with the types of jobs that these particular ratings are suited for. Electric Pressure Washers – These typically have a PSI of 1300 to 1800 and a GPM of up to 1.5. They are best suited for lighter jobs such as cleaning cars, shutters, patio furniture, grills and for getting rid of light mold or mildew. Gas Powered Pressure Washers – With a PSI of 2000-3000 and a GPM of up to 2.5 the gas powered pressure washer is well suited for heavier jobs that are done more frequently like cleaning decks, siding and sidewalks. Commercial Pressure Washers – PSI will be between 3000-4000 on commercial pressure washers and the GPM will be up to 4.0. These are extremely tough and hearty pressure washers and are used by construction workers and other professionals for stripping paint, getting rid of tough stains and cleaning concrete. When you start shopping around for your pressure washer, there are a lot of things you should look for to make sure that the pressure washer you get is a good one. We’ve outlined the features below so you will know what they are and what the different feature names provide. High Pressure Hose – Most pressure washer hoses have a 20-25 foot reach so you can clean areas with high pressure water such as rooftops and house siding. The more pressure you have the more cleaning power you will have as well. Nozzles and Spray Tips – Many pressure washers come with different nozzles that will deliver different types of spray to accommodate the type of cleaning job the user is doing. Sturdy Tires – Having good tires on the pressure washer means you can move it around from place to place much easier. This makes the job faster and simpler without a lot of backbreaking carrying. Detergent Tanks – most pressure waters have one or two detergent tanks available for tough jobs that may require a cleaning agent. Be sure to read your instruction manual to make sure of the type of detergent that the particular detergent tank can handle. On Board Accessory Storage – Additional spray tips, cords, and other accessories can be stored right inside the pressure washer. This is very convenient for saving space and you won’t have to search around looking for parts when you want to use them. Telescoping Handle – Because some pressure washers can be really heavy and cumbersome, one that has a telescoping handle is a great convenience. This makes it very easy to pull or push your pressure washer wherever you need to have it to do the job at hand. Use with Cold or Hot Water – Depending on the type of job that needs to be done, it may be more beneficial to use hot water over cold. Getting a pressure washer that works with either cold OR hot water ensures that you can tackle pretty much any job you may come across. Tanks that are designed for cold water will not work with hot, so make sure that if this is a feature you want, the tanks state that they can be used for hot and cold water or that it has a tank for each temperature. Quick-Connect – This feature allows for switching nozzle attachments quickly and easily. This gives your pressure washer more cleaning capability as well as helps you save time. If the pressure washer you’re looking at doesn’t have this quick connect feature, you can purchase an adaptor. Water Level Sensors – These are important because they will let you know when the pressure washer is running low on water. You should not run you pressure washer with little to no water or you will burn out the motor and ruin the pressure washer. Pay attention to your sensors and keep the unit filled when using it. Oil Level Sensors – These are present on gas powered pressure washers and help prevent engine damage just the way it doesn’t in a vehicle. The same thing can happen to a pressure washer engine that can happen to a vehicle engine when it is run without oil. Additional Attachments – There are other attachments that you may be interested in such as wand extensions, rotating brushes, and detergent injection. Make sure that your pressure washer has the necessary basics and then see what other attachments either come with the washer or can be added to increase productivity and benefits. The following tips will help you use your pressure washer to the best of your ability. It will make jobs easier and will make using a pressure washer much more efficient and convenient for the user. Make sure to clean from the bottom to the top when cleaning any kind of vertical (up and down) surfaces. Black – low pressure – dispenses soap. When cleaning your items you will want to use the broadest and lowest pressure nozzle that works for the job you are doing. When using too narrow a nozzle you run the risk of cutting into the surface. Before you start washing the side of your house that everyone can see, check the effects of the pressure washer on an inconspicuous area of the siding. This is also a good place to start to get used to the pressure washer so you don’t do any damage. When using the pressure washer make sure that the tip of the nozzle is angled above the surface and don’t get it too close so nothing will be damaged from the power of the spray. Never spray water into light fixtures, air conditioning units, electrical outlets, attic vents or on lap siding. Maintaining a constant motion with the nozzle prevents any damage to the surfaces. If you’re using a gas powered pressure washer, be sure to add fuel stabilizer to the gas before you fill the fuel tank with gas. Protecting your pump during the cold winter months is very important. Make sure that you use a pump preservative to keep the pump free from corrosion and damage from freezing. A pressure washer is a piece of equipment that needs to be handled with care and knowledge. Injuries can happen if users are careless. Be sure to follow these tips when using your new pressure washer. Read your pressure washer’s manual. This is of utmost importance and should be the first thing you do when you get your pressure washer…BEFORE you use it the first time. The manual will let you know all you need to know about operating your particular model of pressure washer. Do not change the nozzles while the pressure washer is on. You can cause damage to your fingers. Always make sure that your pressure washer is stored in the off position. This prevents any accidental spraying if it gets bumped. Never use your pressure washer around electrical lines, outlets and other sources of electricity. The length of the pressure washer’s water spray can result in accidental electrocution if the arc of water connects with any electrical sources. Be very aware of what is around you when you’re pressure washing. If you hold the wand to close to the surface you are cleaning you can damage or ruin it so make sure you start off with the nozzle far enough away and move closer until you are the correct and safe distance. In addition to ruining the finish or surface, you can also cause damage to the eyes if water is deflected back into it or dirt or debris flies into the eyes from such a close distance. When you first turn on a pressure washer, you may get a heavy duty kickback from the force of the water pouring out. Be sure that you hold the gun with both hands when first depressing the trigger. This is also why it is recommended not to operate pressure washers from a scaffolding or ladder as the sudden jump or jerk can cause the user to lose their balance. Frozen water in the pump will expand and that makes any water left in the pump potentially able to freeze in the mechanisms and damaging your pressure washer. You can avoid this by storing the pump on a warm area, releasing the remaining fluid in the pressure washer by using compressed air and by running a 50/50 mixture of antifreeze and water through your pump. Don’t ever use bleach in your pressure washer. This will damage parts inside the gun, hose, wand and pumps. You should only use the chemicals that are approved for pressure washer use for your own safety as well as the longevity of your pressure washer. Pressure washers have their own set of safety features that are built in to the individual units. Make sure that all the parts of your pressure washer are in proper working order. The unloaders and thermal relief values always need to be in good working order which will keep the temperature and pressure of the water from being at unsafe levels. Pay attention when using a gas powered pressure washer. It should only be operated outside where the fumes can dissipate and it should never be used around any flammable materials. If you notice a gas leak on your pressure washer, don’t touch any electrical switch and shut the pressure washer off at the breaker switch. Always wear protective gear when operating your pressure washer. This includes protective face gear and eye wear, and gloves. You should also wear the proper shoes as well. If you’re filling the fuel tank the pressure washer needs to be completely off. If the gun valve is not being used, make sure the safety lock is on. Make sure that you use the right nozzle for the job you’re doing. Too much concentrated pressure can damage wood and other surfaces as well. When it comes to using a pressure washer, preventing accidents and injuries is the goal. Make sure that your pressure washer is on a stable surface and has adequate drainage. Never leave the unit unattended and it is absolutely never for use around or by children. They don’t realize the force in which water is coming out of the hose and could do serious damage to each other if they “shoot” their friends or siblings with the wand. In this pressure washer buyer’s guide you’ve learned about the types of pressure washers there are, the parts they have, features they usually come with, the types of pressure washers for specific jobs and many other important things that will all help you be able to sort through the available choices on the market and choose the one that meets your needs. Pressure washers are a great piece of equipment to have but they take a little bit to get used to and should not be used carelessly. Take the time to understand how to use your pressure washer and take all of the necessary safety precautions when it comes time to use it.